As part of an ongoing revamp of the Brio Tuscan Grille and Bravo Cucina Italiana casual-dining chains, parent company FoodFirst Global Restaurants, Inc., has named a new culinary team, including a chief culinary officer who is on par with the chief financial officer and chief operations officer in terms of company structure, CEO and chair Brad Blum said. “This is a whole strategy in doing things maybe a little differently than other restaurant brands in America,” Blum told Nation’s Restaurant News. Blum is an industry veteran having served as CEO of Burger King and Romano’s Macaroni Grill and president of Olive Garden. The new chief culinary officer, John Imbriolo, met Blum when the two worked at Macaroni Grill. He is a certified pizzaiolo by the Associazione Margherita Regina in Naples, Italy. He also has a degree in restaurant management and years of experience working in New York City hotels and restaurants. Debbie Allison has been named senior vice president of supply chain, with responsibility for sourcing ingredients from throughout the United States and the Mediterranean. Previous experience includes the position of director of supply chain for Red Lobster, as well as responsibility for sourcing for Darden Restaurants’ Specialty Restaurant Group, which includes Seasons 52 and Capital Grille. 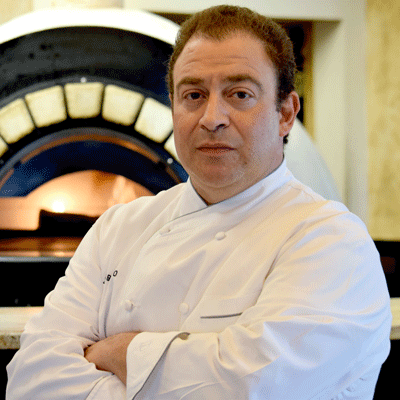 Angelo Landi is vice president of culinary operations, with responsibility for upgrading the kitchens at the 63 Brio and 47 Bravo locations and working with the executive chefs at each of those restaurants as well as the company’s Restaurant Support Center in Columbus, Ohio. He has run his own restaurant and also has held high-level culinary positions at Maggiano’s, Ruth’s Chris Steak House and, most recently, True Food Kitchen. Brian Harvey and Alison Peters, who previously held the titles of corporate chef of Bravo and Brio, respectively, are now directors of culinary innovation for those brands. Harvey, who has degrees in culinary and pastry arts, has worked with the company for the past 20 years. Peters worked in kitchens in New York City and New Orleans before joining Brio. Blum said that over the next year he would work to further differentiate Brio and Bravo. Both restaurants are now drawing specifically from Italy’s Amalfi Coast for inspiration; FoodFirst vice chairman Antonio Bonchristiano and his wife Patricia own a house on the Isle of Capri, off of the Amalfi Coast. Bonchristiano is also CEO of GP Investments, Ltd., which bought Bravo Brio Restaurant Group Inc. in May. However, Brio would move farther upscale, with a higher-end wine list and possibly more grilled items, different proteins and an average per-person check of close to $30. Bravo, meanwhile, would likely have more pasta and pizza and a check average a bit over $20, Blum said. “A year from now you’re going to see very different menus and, frankly, a very different guest experience at both the Bravo and Brio brands,” he said. He added that he was not planning on opening any new restaurants under either brand for the next couple of years, focusing instead on remodeling and reworking the food & beverage offerings. This article has been corrected with the correct name of GP Investments Ltd., and the correct title of chief operations officer.